Good news for Indonesian extension officers and farmer leaders in upland, rainfed, and swampy areas who want to learn how to produce quality rice seeds. You can now get your copies of Membangun Sistem Perbenihan Berbasis Masyarakat Manual Pelatihan. Zulkifli Zaini, IRRI liaison scientist for Indonesia; Hermanto, ICFORD editor; and Diah Wurjandari, IRRI assistant researcher, Indonesia Office translated the publication Establishing Community-Based Seed Systems: A Training Manual into Bahasa. The Indonesian Center for Food Crops Research and Development (ICFORD) provided a grant of US$29,350 in December 2013 to publish Membangun Sistem Perbenihan Berbasis Masyarakat. 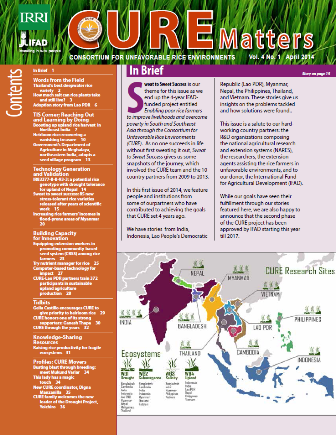 To date, 500 copies have already been distributed to the Indonesian Center for Rice Research (ICRR) and to the Assessment Institute for Agricultural Technology (AIATs) in 33 provinces in Indonesia. This training material is a valuable reference for Indonesian extension officers who teach key farmer leaders and communities interested in producing quality rice seeds in upland, rainfed, and swampy areas. AIAT is an agency under the coordination of the IAARD. One of its objectives is to accelerate technology dissemination from NARES to users such as agricultural extension workers and farmer groups. 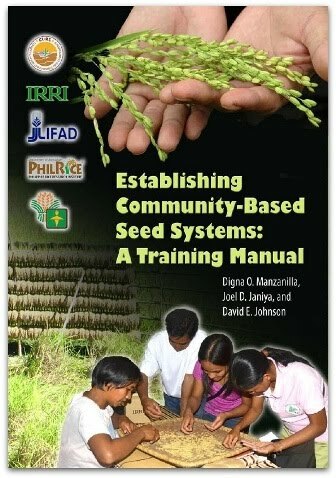 For copies of this manual, please contact Zulkifli Zaini through his email address: z.zaini@irri.org.